Some of you may have gotten a giggle from the title of this post, remembering that children’s song about beans that many of us would gleefully sing every time one of our friends “let loose”. But the truth is, MBeans really are good for your heart, especially if you have to monitor a multitude of apps and devices in your Ops center. Having a standard way to keep tabs on all those different devices certainly makes things easier. This is the place to remind you that Artifactory also exposes JMX MBeans which means you can monitor anything from repositories to network connections. In the latest release, Artifactory’s MBeans support was extended to include HTTP connection pools in addition to repositories, executor pools and storage that was already supported. That means that now, you can also monitor remote repositories, distribution repositories, your Xray client connection, replication queues and the event propagation service for HA cluster nodes. That’s all very well when you are in charge of a single instance of Artifactory. But what if you have to monitor 50 instances? Yes, the child in you is eagerly raising his hand saying “Ooh, Ooh, I know… Mission Control”. 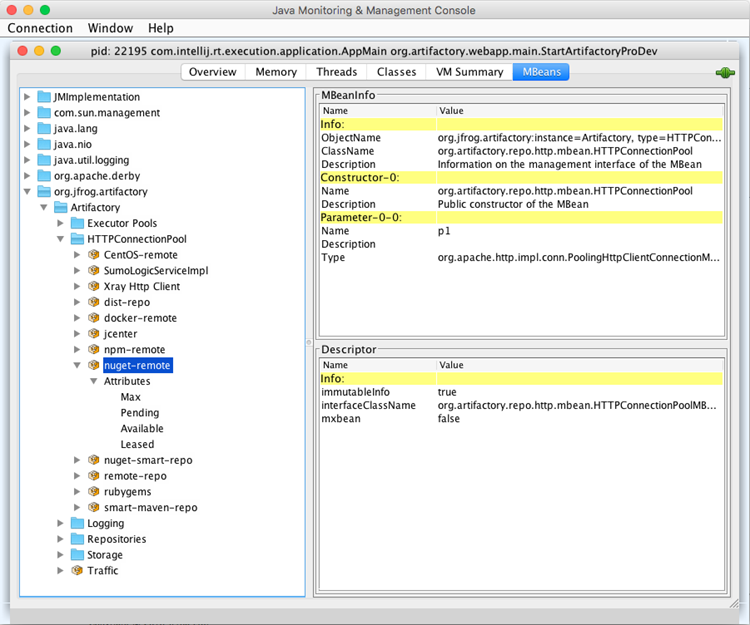 Well, we already know that Mission Control lets you monitor any number of Artifactory instances, but the latest news is that, like Artifactory, Mission Control also supports JMX. That’s right. From the latest release (v1.4), Mission Control also supports the JMX protocol which means you can monitor storage used by instances and repositories , as well as replication status for repositories. So now you can monitor those 50 instances of Artifactory all through a single portal in your JMX viewer such as JConsole, along with all the other JMX compliant apps and devices you’re already monitoring. Remember that JFrog Mission Control’s full set of capabilities comes to bear when JFrog Artifactory is activated with an enterprise license. Ready to give it a try? Sign up for a free trial of Artifactory Enterprise. 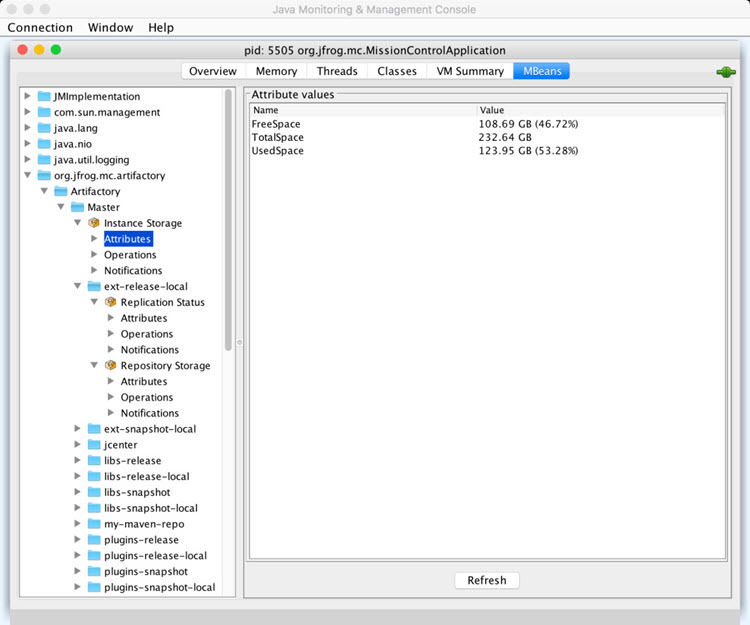 JFrog Mission Control is offered as a free download at no extra charge.